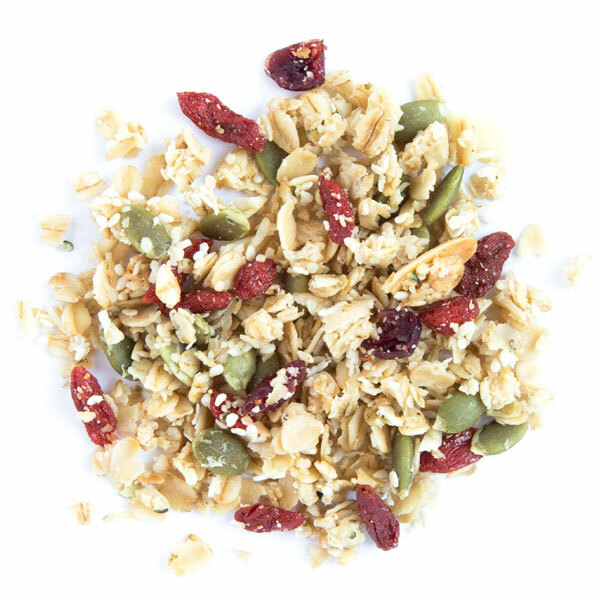 A whole lot of heart and a huge bunch of health goes into every batch of delicious Goji Granola. Its impressive list of certified organic ingredients are as great tasting as they are good for you. You can eat this snack however you want – straight up, sprinkled on your yogurt, or dive into a bowl with some milk. Whichever way you choose to enjoy it, be prepared to fall in love with 100% granola goodness!